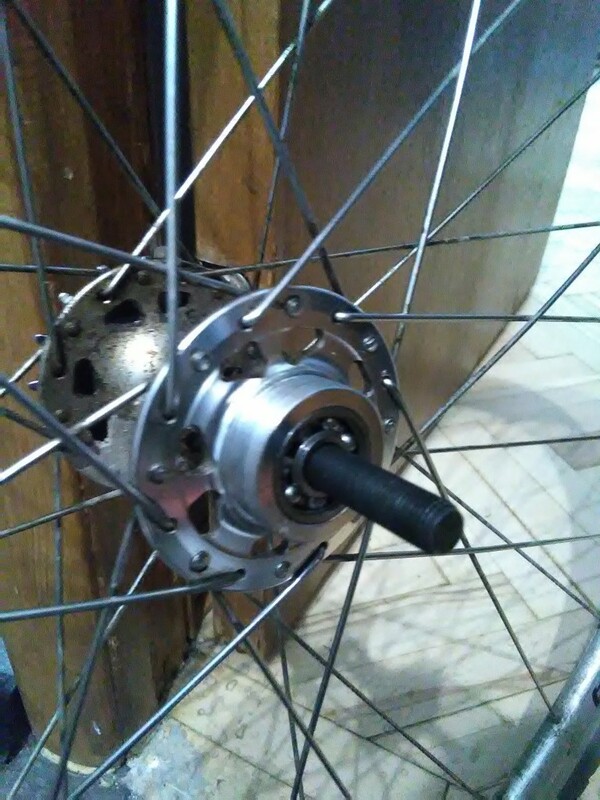 I was discontent on how my rear hub sounds and operates on my Fuji Feather bike. Also, the freewheel was whack, full of rust. I decided to clean stuff myself. 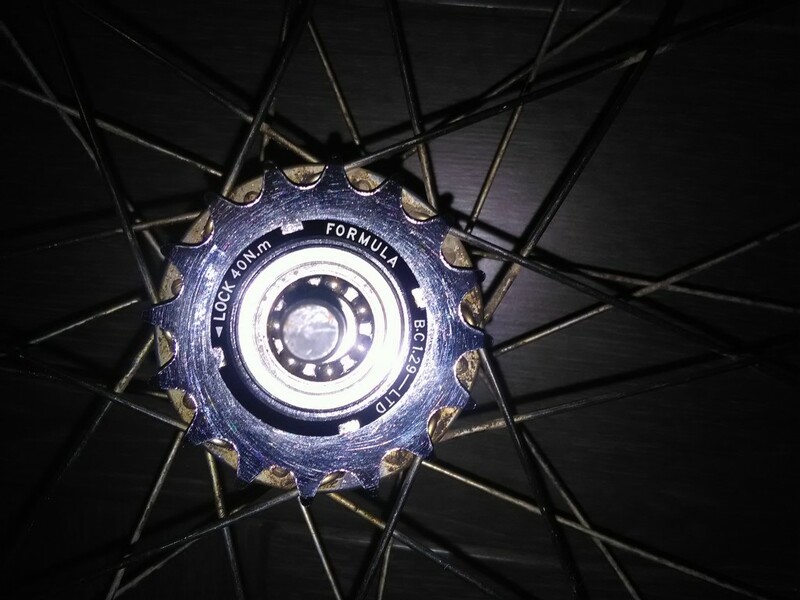 New noname freewheel with 16 teeth. Sorry, the picture is out of focus; I hope you get the idea. 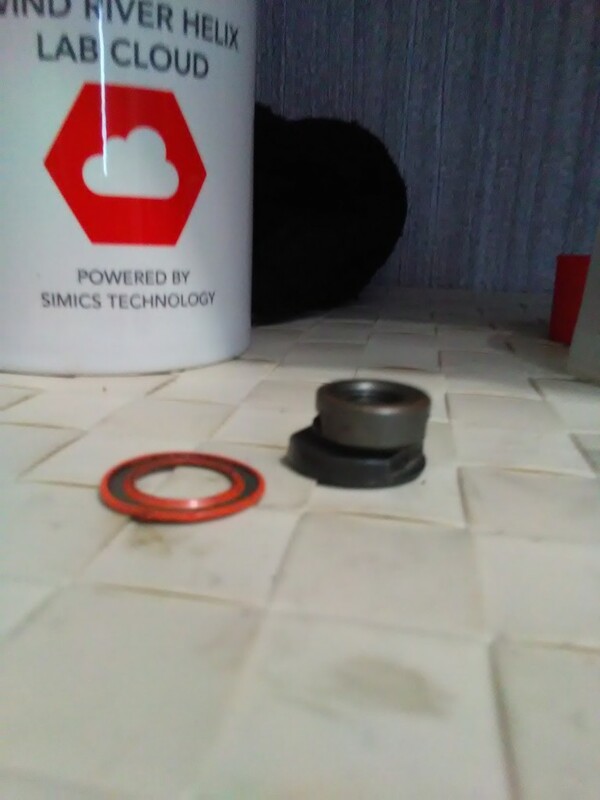 Orange bearing cover and spacer with a nut from the hub axle. 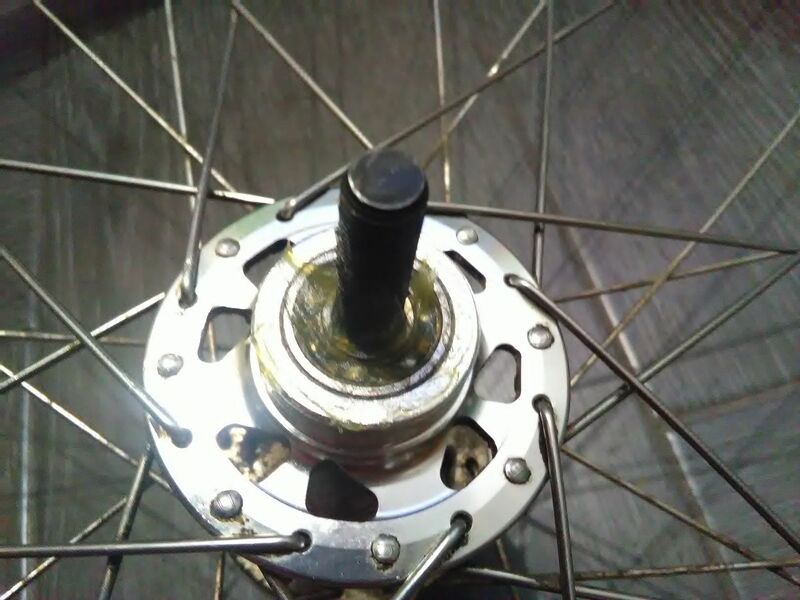 Old freewheel removed, bearing cover removed. 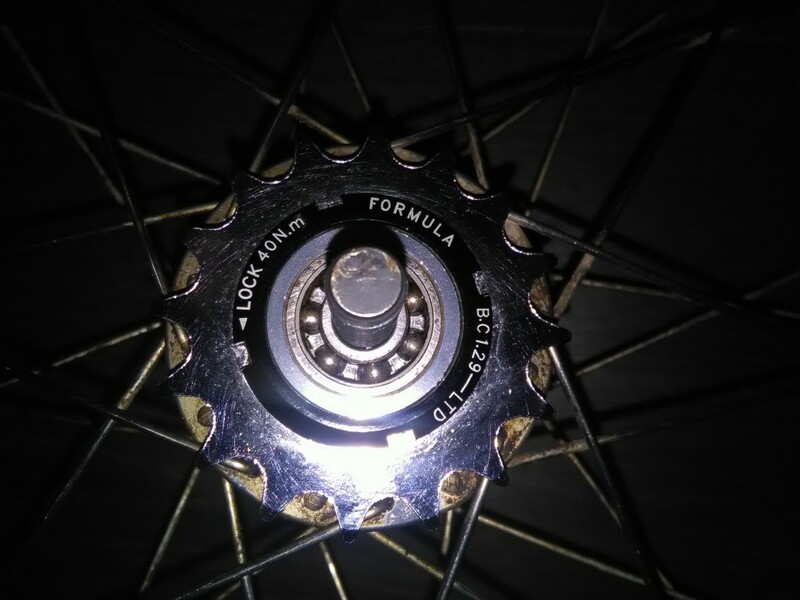 Bearing balls cleaned and visible. 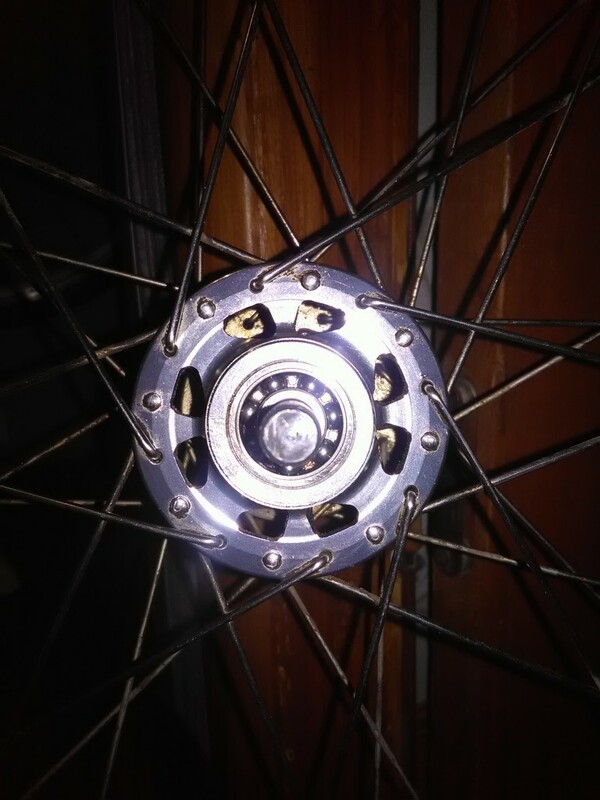 Other side of the hub - the another bearing is cleaned. 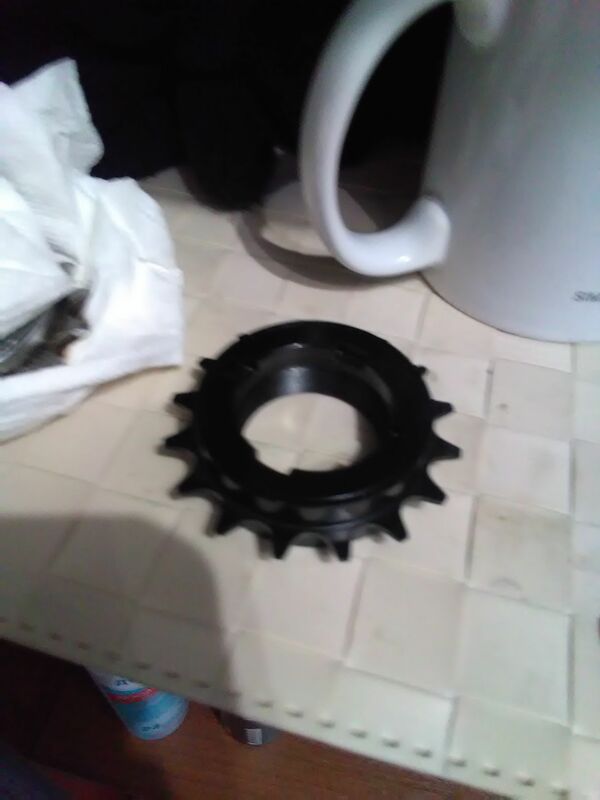 The fixed cog is not removed — I did not realize that I had a tool for removing it at the time. Besides, it did not obstruct the service. 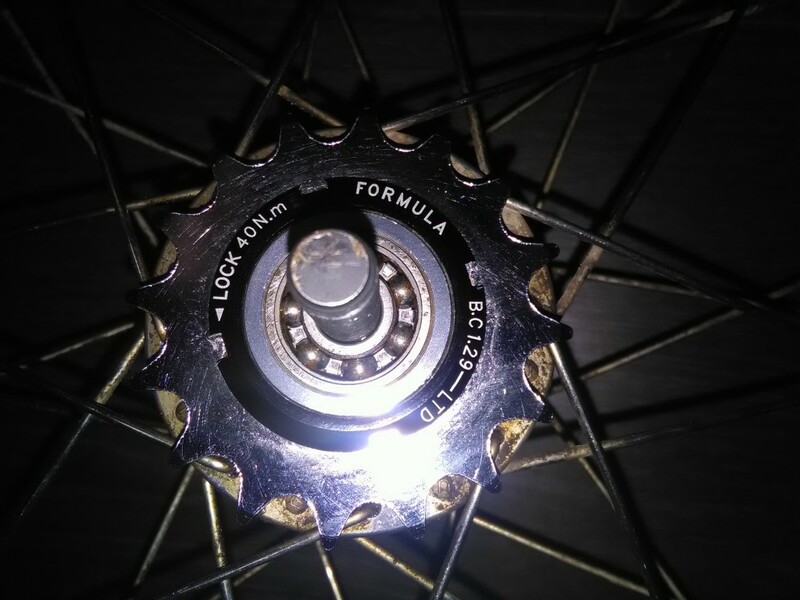 New grease is applied to the bearing. 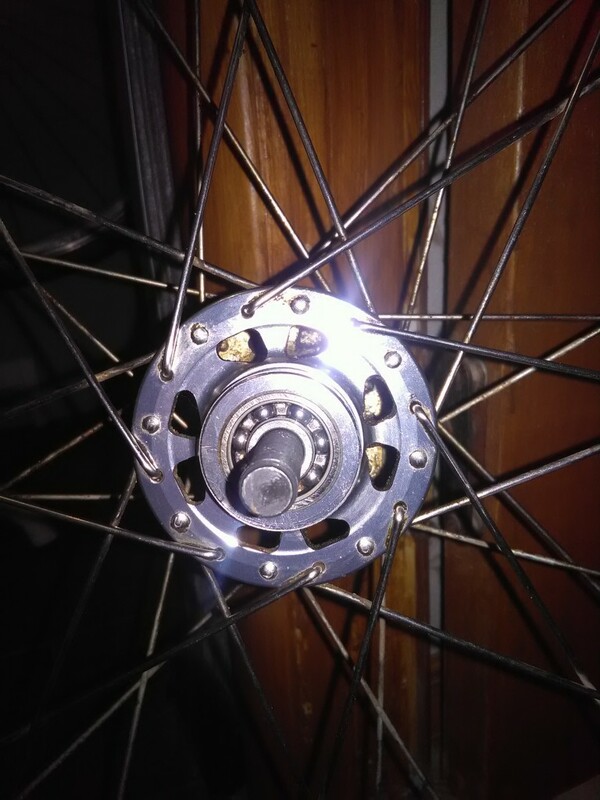 Time to remove excess grease, put the cover on, thread bolts and spacers, thread new freewheel and install the wheel back to the bike.